I must say that this weblog assignment has been vital to my learning in the class. Through my research and “web-travels”, I went down many necessary rabbit holes and discovered amazing resources. I have also learned through the posts of my peers. This is a site I will bookmark and continue to refer to throughout my career as an educator. Many of the readings and videos in the last two modules spoke to the need for trained teachers in Northern areas who were a part of the community and made long lasting connections with students. The students in the videos spoke about how important it was to have Indigenous teachers from their very own communities. As I watched, I wondered how Canadian post-secondary institutions were addressing this need through their programming. I found a great example from the University of Saskatchewan that supports Indigenous students who would like to become teachers. Applicants are encouraged through a coordinator and also flexible admission for new and mature students. The curriculum integrates subject matter that will prepare teachers to work with Indigenous students. I came across another related page that showed how U of S also offers an Indigenous Languages Certificate for any educator to enrich their education. The Think Indigenous Podcast comes out of the ITEP program (linked in above posting) at the U of S. The podcast is situated at the intersection of “digital media, education, and Indigenous storytelling” and features many interesting and knowledgeable guest speakers. I just discovered this podcast and will need to catch up on past episodes, but it is incredibly relevant to this class as it is all about Indigenous education. 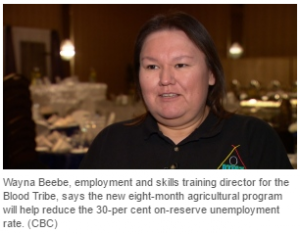 A description on its websites promises that the program “peels back the layers, shines a light on and celebrates best practices in Indigenous education!”. It is available for free on many platforms and there is even an accompanying conference that people can attend. I am very impressed at the Indigenous education initiatives coming out of the University of Saskatchewan! 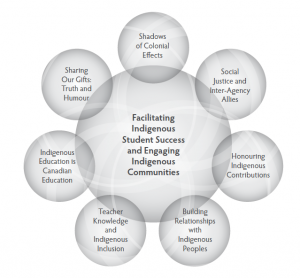 This document is about 10 years old but the principles in it are very relevant to today when we are looking at strategies to assist with Indigenizing curriculum. It is also very applicable to any level in education (K-post secondary) that serves indigenous students. The document outlines best practices in several areas: understanding FNMI learners, redefining how Indigenous success in education is measured and looking at holistic learning models and forms of assessment. Place based learning is explored throughout the document, as well as the need to integrate community, language, and Elders into education. The document is full of statistics, quotes from educators, evidence-based recommendations and great graphics. It really brings many of the topics we have explored in our ETEC class together! This resource is a WordPress site created by BC educator Jo Chrona. For those of you who use Twitter, Jo (@luudisk) is definitely a must-follow as she posts a lot on the topic of Indigenous education and often shares her viewpoint on issues as well as some rich resources. Her blog site is equally full of tools for educators, and is a thoughtful compilation of research, resources, professional development activities and links to other initiatives in BC and Canada. A quick look at her reference page demonstrates many of the readings that we did in our ETEC class- there is no mention but I wondered if this was possibly an assignment related to this class as it was posted in 2014- worth looking at for any Canadian educator! Although this resource doesn’t really fit with the theme of the other items in my weblog, I could not resist the need to share it with my classmates as I enjoyed viewing it so much and would recommend it to anyone. Elder in the making is a film (broken into 6 episodes- and free to watch on YouTube) that showcases the journey of Chris Hsiung, a Chinese Canadian from Calgary and CowboyX, a young Blackfoot man from southern Alberta, and their quest to discover their own heritage and how someone comes to be an Elder. One thing I have learned in this class is that in order to understand other cultures, we must first do a self-examination of our own relationship to culture. This documentary is stunningly beautiful, honest, emotional, and educational. In the final episode, an unexpected event leaves Chris and Cowboy to mourn the loss of a friend, yet is inspirational and renews hope for the future. This film is created by local artists and really brings together what we’ve learned in our ETEC class and shares it through the use of technology and storytelling. I ended up watching all the episodes in one day- a must see! 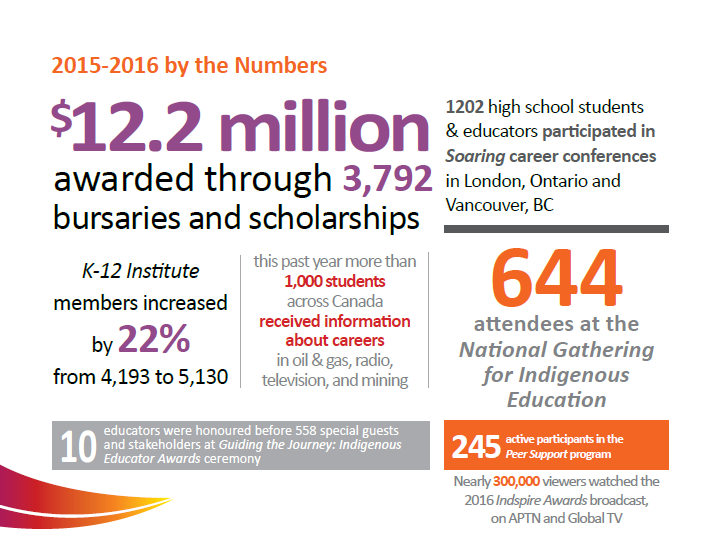 Colleges and Institutes Canada (CiCan) recognizes that colleges serve many Indigenous students throughout Canada, the North included. The organization has clearly defined seven principles aimed at Indigenization of colleges and has encouraged institutions to become signatories by implementing in these principles. So far, there are 54 signatories across Canada. Additional links such as background of the protocol, member documents, resources and FAQ’s are included in the site. This document was created by Comosun college (Vancouver Island) and was implemented in 2013 and 2014. 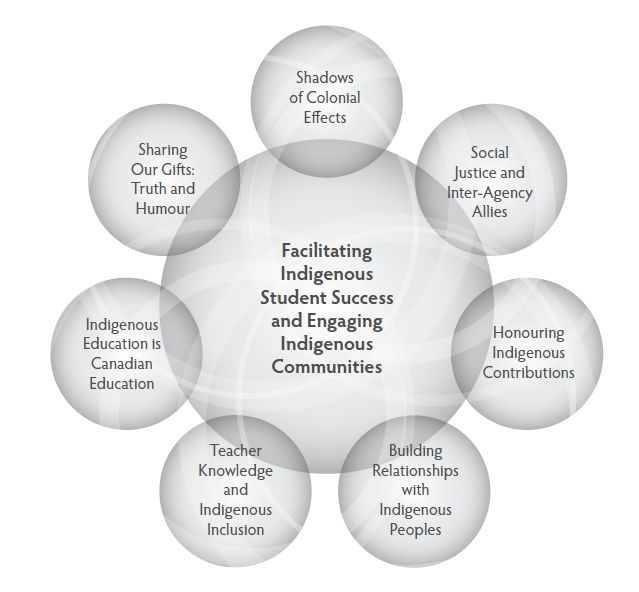 Although it is a few years old, it has a strong framework for how they approached Indigenization at their institution. They base their strategy on four “corner posts”: curriculum development and delivery, services for students, policy and strategic planning and employee education. Each of these four areas has clear goals and actions to complete. The plan and is laid out in an easy-to-understand format. It includes a comprehensive section on strengths, challenges, opportunities, and lessons learned. This publication is an environmental scan completed by BC Campus that analyzes professional learning resources and opportunities that are available for staff and educators. Their findings are quite interesting and look at the type of training available, training topics, access to resources, authenticity of resources, and engagement of faculty and staff. This provides a great overview to see what is currently being offered and where gaps may still exist. I wasn’t sure if I should post this resource and have had it in my “maybe” list since the start of this course. I decided to post it for the reason that none of the indigenization strategies will be as effective unless those of us who are not Indigenous first “unpack our knapsacks” and realize that we inevitably bring our own histories, pasts, values and viewpoints to our interactions whether we are aware of it or not. Recognizing our biases is the first step in removing them and moving forward. The incorporation of spirituality into everyday life seems to be a value in many Indigenous communities. I am, therefore, interested in finding out how this is done within educational environments and whether or not this is even done in online learning environments. My ultimate focus will likely be on adult education, as I work in a post-secondary environment. However, at this point, I am not limiting my research to that age group. Astin, A. W., Astin, H. S., & Lindholm, J. A. (2010). Cultivating the Spirit: How College Can Enhance Students’ Inner Lives. San Francisco, California: John Wiley & Sons. What is an academic’s role in a student’s spiritual development? Faculty are only responsible for the academic and professional progress of their students, aren’t they? Perhaps they are, but the fact remains that students are asking questions, such as: “Who am I?”, “What is my purpose in life?” and “What kind of world should I help to create?” These all have spiritual overtones. This book examines the role that post-secondary education has in student spiritual development. According to Astin, et al. (2010), although religious practice may decline during these years, spiritual growth is enhanced, which in turn enhances other college outcomes. So although this book does not deal with Indigenous spirituality in education, it is a good starting point for examining spirituality in post-secondary education, which is where my interests lie. In New Zealand, Maori education initiatives have grown to include Maori values, beliefs, and spirituality. This challenges the definition of secular education in New Zealand. This article discusses the moral obligation to include Indigenous values within education in order to develop understanding and respect for their unique cultural identity. Are they broad enough concepts to have relevance for a diverse student population? Some say yes. However, others believe that even concepts such as self-worth and personal identity are too personal and intrusive to be discussed in a public classroom. On the other hand, the Maori do not believe that they should be expected to fragment their lives and values and therefore wish their spiritual values to be taught alongside the intellectual, physical, emotional, and social ones. They believe that “a natural acceptance of spirituality…creates a moral space in which people’s values and beliefs can co-exist without excuse or apology in secular education”. Although I had planned on keeping my focus on Canadian Indigenous peoples, this article describes some issues that I believe will be faced in Canadian society as we begin to teach about aspects of Indigenous culture in mainstream Canadian classrooms. LaFever, M. (2016). Switching from Bloom to the medicine wheel: Creating learning outcomes that support Indigenous ways of knowing in post-secondary education. Intercultural Education, 27(5), 409-424. LaFever uses the Medicine Wheel as a framework for learning outcomes. She sees it as expanding the three domains of learning, as described by Bloom (cognitive/mental, psychomotor/physical, and affective/emotional) while adding a fourth dimension of spirituality. Having begun my exploration of the psychology of learning by studying Bloom, I am most interested in seeing how his theories are enhanced by Indigenous ways of knowing. This website was found in the reference of the LaFever article. I found it intriguing that the RCMP would have a guide for their employees on the understanding of sacred practices of aboriginal peoples in Canada. The RCMP sought out four different elders in creating the guide and gave additional thanks for permission to digitally publish this knowledge, considering the fact that many elders do not consent to having their knowledge reproduced in this fashion. The article goes on to list important concepts, such as the Circle of Life, the Medicine Wheel, and the Four Powers. It then outlines various ceremonies and ceremonial objects. There is also a section on the treatment of medicine bundles by law enforcement officials, particular during legal searches, so that these objects are treated with the respect that they deserve. Although very simplistic, the information contained on the site would be a very good starting point for someone with little or no knowledge of these sacred objects and traditions. The main thing that surprised me about the website was that it did not distinguish between Canadian Indigenous cultures. Depending on what regions of the country and RCMP officer serves in, he/she will be exposed to considerable variation in belief and practice. Elizabeth Tisdell is also the author of the book Exploring Spirituality and Culture in Adult and Higher Education. (2003). San Francisco, California: Jossey-Bass. This article briefly discusses some of the themes explored more fully in her later publication. This article discusses the connection between spirituality and culture and how educational experiences that allow for their expression can be both culturally relevant and transformative to the students involved. What is unique about this article is that it connects knowledge construction to the unconscious processes which are often culturally and spiritually based, such as the use of image, symbols, music, and ritual. This website is actually a PDF document which discusses barriers to post-secondary education in Canada. While this 130-page document examines PS barriers for all Canadians, it does take an in-depth inquiry into the challenges faced by Aboriginal communities and students. Created in 2011, by the Standing Senate Committee on Social Affairs, Science and Technology, this document provides a list of barriers as well as recommendations to resolving these issues.